Vizzia Technologies, a leading provider of managed real-time location systems (RTLS) for healthcare organizations, announced record revenue growth of 54% for FY 2018, fueled by growing customer demand and industry momentum. The company made its national debut on the prestigious Inc. 5000 list; with a three-year revenue growth of 104%. The RTLS market for healthcare is forecasted to grow to $2.9 Bn by 2023 (18% CAGR); according to the latest research report from MarketsandMarkets. Data Growth. Vizzia’s robust software engine VIZZION℠ grew by more than 21% as it tracked tens of millions of real-time clinical and asset management events across leading healthcare systems. New Customer. MemorialCare Long Beach Medical Center selected Vizzia to deploy a sophisticated patient workflow solution for their emergency department; the largest ED of its kind in California. Product Innovation. StrokeStat℠ acute stroke patient workflow application introduced, in collaboration with clinicians at nationally acclaimed Grady Stroke & Neuroscience center (certified level 1). Customer Success. Piedmont Healthcare biomedical operations saved $2M, utilizing Vizzia to track mobile, medical equipment across 5 Georgia hospitals (profiled in Healthcare Purchasing News). New Partners. Connexient, healthcare leader in digital wayfinding and indoor GPS for 60 hospitals. Critical Alert Systems, leading provider of nurse call platforms for hospitals and health systems. Industry Awards. Named to the Inc. 5000 List of America’s fastest-growing private companies. Selected as a Top 40 innovative technology company by the Technology Association of Georgia (TAG). Thought Leadership. Chief Commercial Officer Dave Wiedman was elected to the board of directors and trustees for the Georgia Biomedical Instrumentation Society (GBIS); member of AAMI. Join us AAMI Exchange 2019 in Cleveland, Ohio (June 7–10 | Booth #412). 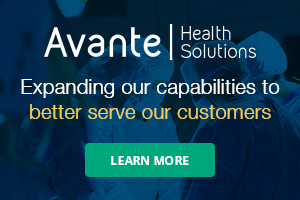 Vizzia executives, customers, and partners will be attending AAMI (Association for the Advancement of Medical Instrumentation); 7,000 professionals dedicated to increasing the safe and effective use of healthcare technology. Please contact us to schedule a meeting at AAMI Exchange 2019.